We are now taking pre-orders on three new Yu-Gi-Oh products. Yu-Gi-Oh 3-D Bonds Beyond Time Movie Boosters are scheduled to arrive on February 22nd. Each pack includes 5 random limited edition Secret Rare Foil cards from the the Yu-Gi-Oh 3-D Bonds Beyond Time movie. The set includes the warped and twisted Malefic monsters used by the movie's time-travelling villain. Boxes are $62 each, while 10-box cases are just $609. Yu-Gi-Oh Storm of Ragnarok Special Edition is expected to ship on March 22nd. Each box includes 10 Special Edition packs, and every pack includes 3 Storm of Ragnarok boosters plus 1 of 2 Super Rare variant cards. Boxes are $63 each. 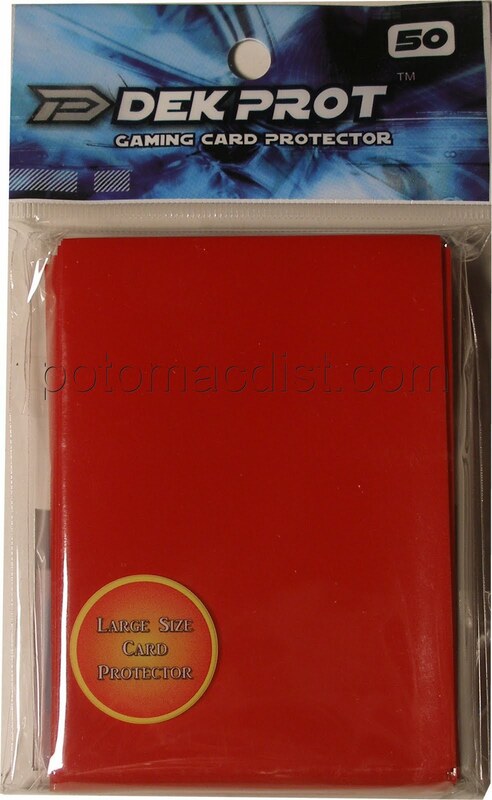 Yu-Gi-Oh 2011 Duelist Pack Tins are due out on April 5th. Each tin contains 1 Secret Rare card, 3 Yusei Duelist Pack 3 boosters, 1 Duelist Revolution booster, a 3-card promo pack containing 3 Super Rare cards, and a beginner's guide. There are 16 tins per case. We are pre-selling cases for $115. AEG Announces L5R Dead of Winter Release Date! AEG informed us today that it has set a release date of Tuesday, January 18th, for its upcoming Legend of the Five Rings Dead of Winter set. 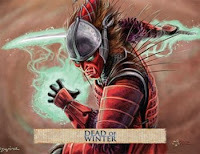 Dead of Winter will be a 166-card expansion for the Legend of the Five Rings CCG. We are selling booster boxes for $101, booster cases (10 boxes) for $970, starter boxes for $49, and starter sets (Crane, Mantis, and Spider decks) for $34. As the icy grip of winter holds sway over Rokugan, the wars that plague its people grind to a halt. For even the inhuman Destroyers cannot stand against the fury of the elements. Although the dead of winter grips the Empire, in the distant ruins of the Ivory Kingdoms, the elements spare their fury, allowing the Mantis to get a foothold firmly established, in an attempt to discover the truth about the origin of the Destroyers. Pre-Selling Green Hornet Series 1 Set! 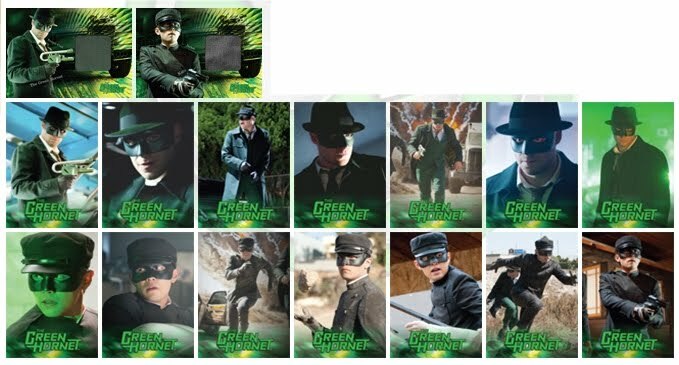 We are now accepting pre-orders for Rittenhouse Archives' upcoming Green Hornet Series 1 trading card set. The set is scheduled to ship on January 12th, and only 500 will be produced! Our price is $45. DC HeroClix 75th Anniversary Set Releases Wednesday! One of the hottest December releases is turning out to be the DC HeroClix 75th Anniversary set, which officially hits the streets tomorrow! The set includes more than 60 characters with exciting new sculpts and dynamic special powers. HeroClix fans will also find iconic stories and themes like Knightfall and the Death of Superman that shook comics to their core. Members of the White Lantern Corps are also featured. Cases are available for $159 each (20 packs per case). Bricks (10 packs) are on sale for $89 each. World of Warcraft Worldbreaker Releasing Tuesday! Worldbreaker Epic Collection Shipping In January! If you haven't placed your order yet for Cryptozoic's next World of Warcraft set, Worldbreaker, it's not too late! 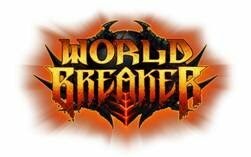 Worldbreaker releases on Tuesday. We still have a limited amount of product available that can ship on the release date. Booster boxes are $63 each. 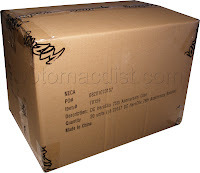 Booster cases (12 boxes) are $739. If you hadn't yet heard....World of Warcraft Worldbreaker Epic Collection, which was originally scheduled to arrive in December, is now scheduled to ship by January 14th. Epic Collection boxes are $27 each. Cases (12) are $309. In other Warcraft news, we just restocked Wrathgate boosters ($67/box) and Heroes of Azeroth boosters ($53/box) this week. Click here to order any of these World of Warcraft products. Star Trek: The Remastered Original Series trading cards are expected to ship on January 26th. Every box will include 1 dual autograph card and 1 single autograph card! Order now to receive our lowest prices! On Tuesday (December 14) we will be raising our box price from $61 to $62 and our case price from $709 to $719. Binder cases (4 binders) are also available for $82. Order 3 cases and get a free Nichelle Nichols autograph card, 6 cases and receive a free Leonard Nimoy autograph card, or 15 cases and receive a free Archive box! We received our first shipment of Dek Prot Card Sleeves earlier this week. These deck protectors sell for roughly the same price as Ultra Pro sleeves, but we've been told that they are a tougher alternative. These sleeves are made in both Magic and Yu-Gi-Oh sizes. We are currently trying out a few of the Magic sized protectors. 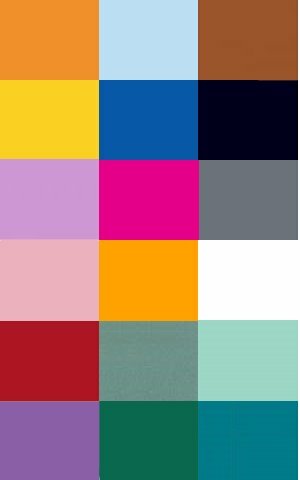 In addition to the Pepper Red, Teal Green, Ocean Blue, Midnight Black, and Darksteel Grey that we have available now, we can get Rose Red, Coral Pink, Tulip Orange, Sunflower Yellow, Mango Yellow, Ivy Green, Seafoam Green, Aqua Blue, Mocha Brown, Starlight White, Lavender Purple, and Lilac Purple. That's 18 different colors for each size! We are selling 10 packs (50 sleeves per pack) for just $18! 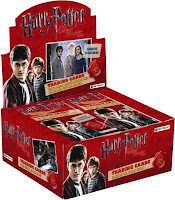 Artbox informed us this morning that the release of its Harry Potter and the Deathly Hallows Part 1 trading card set has been delayed again (slightly). The new street date is December 14th. We don't expect any additional delays at this point. We have a limited amount of this product still available for preorder. Boxes are $56 each. Cases (10 boxes) are $549. 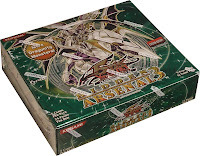 Yu-Gi-Oh Hidden Arsenal 3 In Stock! The latest Yu-Gi-Oh release, Hidden Arsenal 3, has arrived. All pre-orders have been shipped at this point. Booster boxes are still available for $60 each. Booster cases (12 boxes) are $695. Upper Deck has announced plans to release a Thor Movie trading card set in March. Every box will include 2 memorabilia or autograph cards and at least 1 movie cell card! Memorabilia cards are inserted 1:12 packs. Autograph cards are inserted 1:288 packs. Movie Cell cards are inserted 1:16 packs. Unique artist sketch cards are found 1:48 packs. 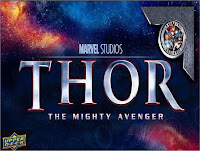 Subsets include a 9-card Talent of Thor set, 1 Thor Movie Poster card, a 13-card Thor Original Art set, and a 12-card Thor Comic Covers set. Memorabilia include pants worn by Jane Foster (Natalie Portman) and shirts worn by Thor (Chris Hemsworth). Boxes are available for $62 each. Cases (24 boxes) are $1455. 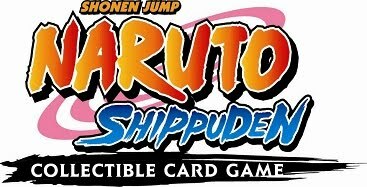 Due to a customs delay, the arrival of Bandai's latest Naruto set, Tournament Pack 2, has been pushed back one week. We had originally expected to ship orders by next Friday, December 10th. However, Bandai announced today that the new release date is Friday, December 17th. We still have booster boxes available for $59 each as well as booster cases (6 boxes) for $348. Pre-Selling Pokemon Call of Legends! The next Pokemon expansion, Call of Legends is expected to arrive in February. The set will feature Raikou, Entel, Suicune, Lugia, Ho-Oh, Kyogre, Groudon, Rayquaza, Deoxys, Dialga, and Palkia and introduces new Lost Zone effects to expand players' gameplay choices. There are two new theme decks - Retort and Recon. We'll post additional information about the set as it becomes available. Booster boxes are $86, booster cases (6 boxes) are $506, and starter boxes are $68. Star Wars Galaxy 6 On Sale Now! 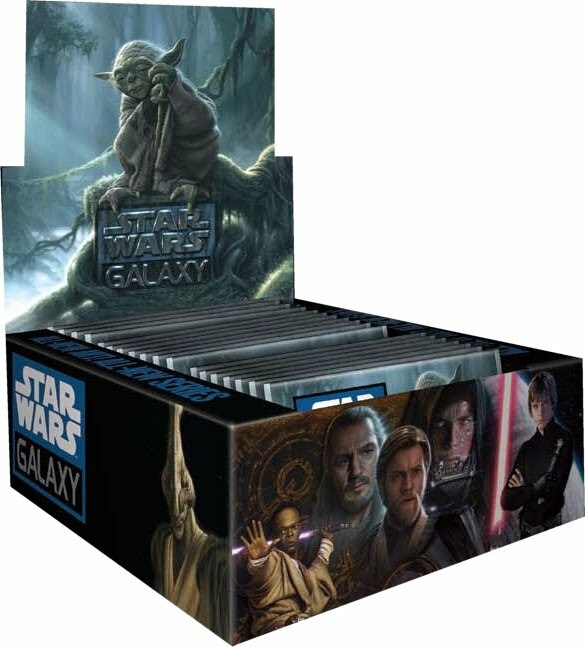 Topps' upcoming Star Wars Galaxy Series 6 trading cards are on sale now! Each Star Wars Galaxy 6 box includes a guaranteed 1 of 1 original sketch card (shaped or traditional). Collectors can look for new hobby exclusive Sketchagraphs (original 1 of 1 masterpieces with autographs signed directly on the card by Star Wars actors), exclusive paintings from comic artists and fantasy illustrators (including Star Wars rookies Ed Repka, Leinil Yu, and Rob Dobi), hobby exclusive original 1 of 1 etched foil puzzle artwork, hobby exclusive 1 of 1 Prismatic Foil insert parallels (with art by Brian Rood), hobby exclusive 1 of 1 Printing Plates, a hobby exclusive Yoda poster box loader (with art from Jerry Vanderstelt), a 120-card base set, as well as Never-Before-Seen art from The Force Unleashed 2 video game, movie posters, comics, and book covers. Boxes are $59. Cases (8 boxes) are $464. The product is expected to ship by March 4th. Click here to order Star Wars Galaxy Series 6 trading cards. Due to delays in importing, Artbox's upcoming Harry Potter and the Deathly Hallows Part 1 trading cards won't be arriving by December 7th as expected. Artbox announced yesterday that the official release date has been bumped back to December 10th. We still have a limited number of boxes and cases available for pre-order. Boxes are $56 each. Cases (10 boxes) are $549. The set includes autographs (5 per case), prop cards (3 per case), costume cards (10 per case), and Film-Cell cards (3 per case). Autographs includes Rupert Grint, Clemence Poesy, Helen McCrory, Rhys Ifans, Bonnie Wright, Rade Serbedzja, Nick Moran, David O'Hara, Simon McBurney, Andy Linden, and more! Collectors can look for prop cards featuring Daniel Radcliffe, Evanna Lynch, Daily Prophets, Wands, and more. Also randomly inserted are costume cards from Daniel Radcliffe, Emma Watson, Rupert Grint, Evanna Lynch, Alan Rickman, Tom Felton, Mark Williams, and more! There are 90 cards in the base set. AEG plans to release its next L5R expansion, Dead of Winter, in January. However, the manufacturer is asking for our order this week! Order now to receive our lowest prices! We are planning to raise our prices on Friday (December 3) from $99 to $101 for booster boxes, $960 to $970 for booster cases (10 boxes), $48 to $49 for starter boxes, and $33 to $34 for starter sets (Crane, Mantis, and Spider decks). Remember: We only need a 10% deposit when you place your pre-order. The remaining 90% isn't due until Dead of Winter ships. If you would like to place an order for Dead of Winter, click here.